I could be going anywhere. That’s the beauty of the Errands message. Ruth D. Handel is a poet, writer and teacher. She is the author of Tugboat Warrior (Dos Madres Press, 2013) and Reading The White Spaces (Finishing Line Press, 2009). Her poems have appeared in journals and anthologies including Common Ground Review, Westchester Review, en(compass), The Jewish Women’s Literary Annual, Let The Poets Speak, Controlled Burn, Clockwise Cat, Contemporary Hiabun Online, Evening Street Review, and the award-winning A Slant of Light: Women Poets of the Hudson Valley (Codhill Press, 2013). Ruth teaches poetry courses and workshops in poetry writing, gives poetry performances, and manages the Poetry Caravan, a volunteer organization of 30 poets who bring poetry to the community. 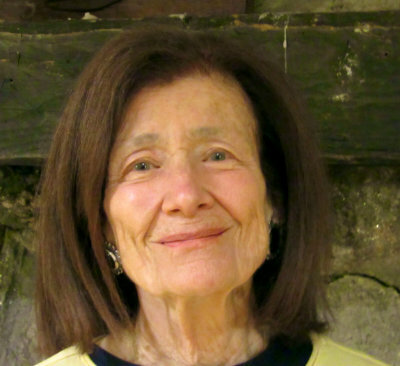 In her professional career, Ruth developed the field of family literacy; her academic publications include Building Family Literacy in an Urban Community (Teachers College Press, 1999). She is professor emerita, Montclair State University, where she taught literature and literacy and integrated poetry into the teacher education curriculum.